Quality stamping products in virtually any size for any type of use. 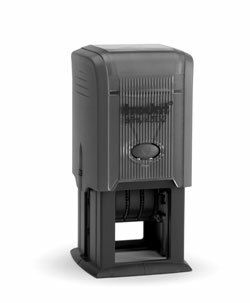 Typical office stamp usage and portable stamps available - dater stamps, notary stamps and any custom office stamp. 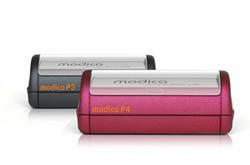 Thousands of imprints, razor-sharp graphics and easy refilling (if necessary). 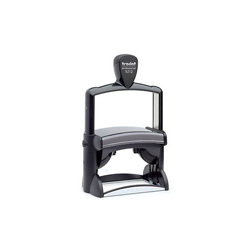 These versatile office stamps are unmatched in quality. 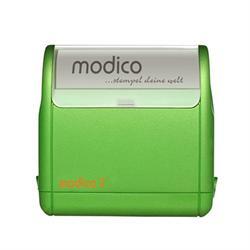 Available in various stamp body colors, as well as multiple ink colors available for your next office stamp. Also available is UV (ultraviolet ink) stamps. No setup fees. Send text & logos to Artwork@OfficeSignCompany.com or request a digital stamp proof. Razor-Sharp graphics and text, there is no higher quality stamps available. Office Series Premium Stamp - 1-7/16" x 7/16"
Superior quality customizable stamps, made to order. Supply us with custom text and/or art and we'll do the rest. Contemporary stamp body colors available and ink imprint color choices. Max size on this smaller sized stamp is 1-7/16" x 7/16"
Office Series Premium Stamp - 1-15/16" x 9/16"
Superior quality customizable stamps. Supply us with custom text and/or art and we'll do the rest. Available in stylish stamp body colors and ink imprint color choices. Max size on this stamp is 1-15/16" x 9/16". 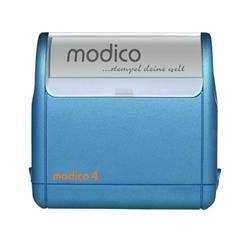 Office Series Premium Stamp M4 - 2-1/4" x 13/16"
Premium quality customizable stamps. Supply us with custom text and/or art and we'll do the rest. 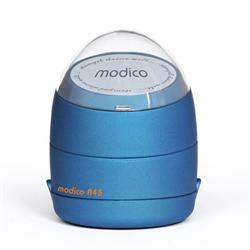 Available in stylish stamp body colors and ink imprint color choices. Max size on this stamp is 2-1/4" x 13/16". 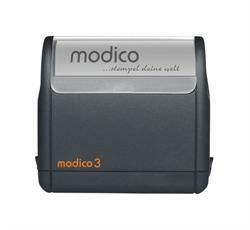 Office Series Premium Stamp - 2-1/2" x 15/16"
The M5 Office Series Premium Stamp has an imprint area of 2-1/2 inches x 15/16 inches and is available in a variety of ink colors. Include any custom text you need at no additional charge. Stamp body available in black, red, or blue. 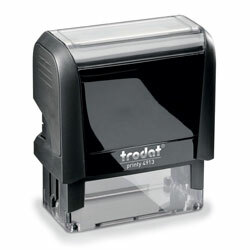 Office Series Premium Stamp - 3-1/2" x 1-3/4"
M10 Office Series Premium Quality Stamp can be personalized with any text you need at no additional charge. 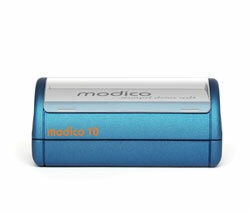 Imprint area measures 3-1/2 inches x 1-3/4 inches and will allow for up to 10 lines of text. 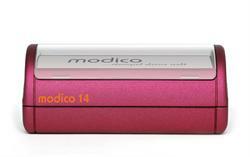 Choose from a variety of ink color options. Office Series Premium Stamp - 3-1/8" x 2-7/16"
The M12 Office Series Premium Stamp can be customized with any text you require. 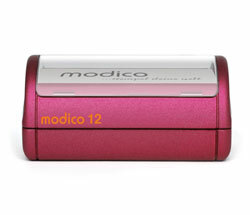 Imprint area measures 3-1/8 inches x 2-7/16 inches and can accommodate up to 12 lines of text. Free personalization. Made to order, superior quality, long lasting personalized round office stamps. Supply us with custom text and/or art and we'll do the rest. Available in stylish stamp body colors and ink imprint color choices. 1-5/8" Diameter imprint area. Portable pocket stamps, made to order. Supply us with custom text and/or art and we'll do the rest. Contemporary stamp body colors available and ink imprint color choices. Smaller stamp body size for purse or pocket. 2 portable stamp sizes. 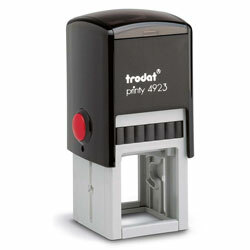 Trodat 43132 Self Inking Dater Stamp with Custom Text Area - Max Plate Size 1-1/4" x 1-1/4"
Self inking dater stamp with date plus custom text areas. Max impression measures 1-1/4" x 1-1/4" - Self inking stamp with 1000's of impressions for long life. Custom text and/or graphics plus date. Self inking dater stamp with date plus custom text areas. Max impression measures 1-5/8" x 1-5/8"- Customize up to 4 lines of text above and below the date. 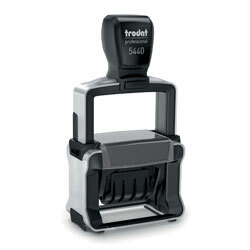 Self inking stamp with 1000's of impressions for long life. Custom text and/or graphics plus date. 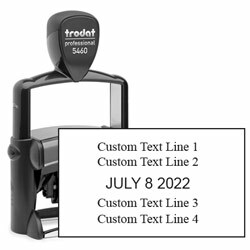 Trodat 4724 Self Inking Dater Stamp with Custom Text Area - Max Plate Size 1-5/8" x 1-5/8"
Trodat 4750 Self Inking Dater Stamp with Custom Text Area - Max Plate Size 1 5/8" x 1"
Self inking dater stamp with custom text areas. Max impression measures 1-5/8" x 1" - Customize up to 2 lines of text around the date. 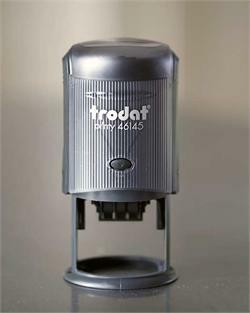 Self inking stamp with 1000's of impressions for long life. 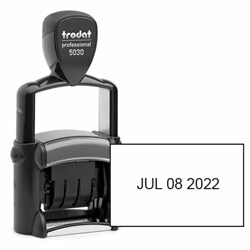 Trodat 5430 Self Inking Dater Stamp with Custom Text Area - Max Plate Size 1-5/8" x 1"
Self inking dater stamp with date plus custom text areas. 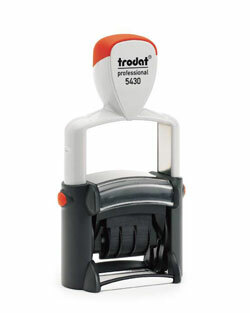 Max impression measures 1-5/8" x 1" - Self inking stamp with 1000's of impressions for long life. Custom text and/or graphics plus date. 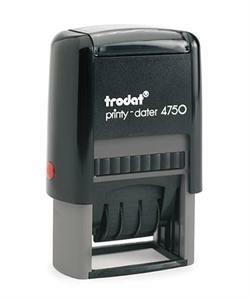 Self inking dater stamp with date. Max impression measures 5/32”H x 1-1/2”W - Self inking stamp with 1000's of impressions for long life. Custom text and/or graphics plus date. 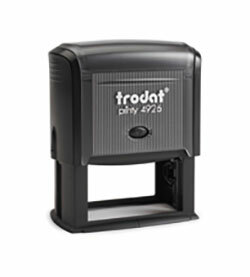 Trodat Professional 5212 Self-Inking Stamp with text plate size of 4-9/16" x 2-3/4". 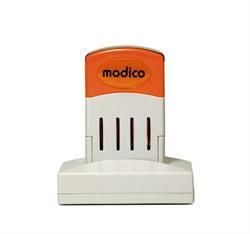 Great for creating a data table for quality control purposes or for creating imprints of your logo. 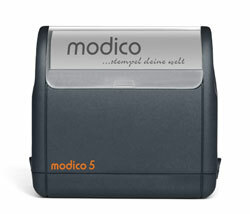 Self inking dater stamp with date plus custom text areas. 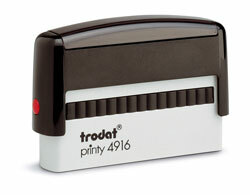 Max impression measures 1-1/8" x 2" - Self inking stamp with 1000's of impressions for long life. Custom text and/or graphics plus date. Self inking dater stamp with date plus custom text areas. Max impression measures 1-5/16”H x 2-1/4”W - Self inking stamp with 1000's of impressions for long life. Custom text and/or graphics plus date. Office Series Premium Stamp - Extra Large Size 3-7/8" x 2-11/16"
Superior quality, long lasting personalized office stamps. Supply us with custom text and/or art and we'll do the rest. Available in stylish stamp body colors and ink imprint color choices. Large, max imprint size on this stamp is 3-7/8" x 2-11/16". 2-1/4" x 1-3/8" max imprint Dater Stamp. Red DATE color with a choice of surrounding text imprint colors (black, red, blue, or green imprint colors). Premium Dater Stamps for demanding businesses. Custom text above and below date. If you do not see the office or business stamp you need on our web site, chances are we already have it in stock, or can get it for you.